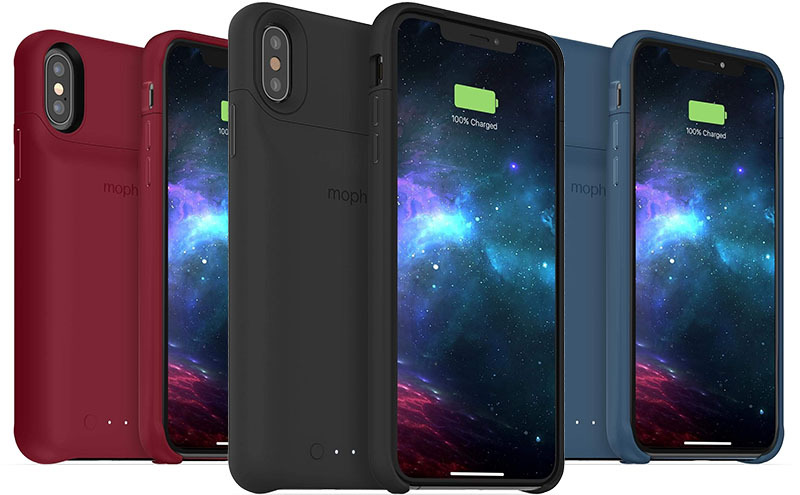 Mophie, a popular Apple-certified accessory maker, has today announced that all-new Juice Pack Access battery cases for the iPhone XS, iPhone XS Max, and iPhone XR will be available in the first quarter of 2019. The juice packs extend the battery life of the iPhone XS by up to 25 hours, and the iPhone XS Max and iPhone XR by up to 31 hours, according to Mophie. The cases can be charged with an included USB-C cable or wirelessly on any Qi-certified mat. With pass-through charging, the iPhone charges first, then the case.